They say that breakfast is the most important meal of the day. Fuel your mind and body, as well as your morning, with 28 Slow Cooker Breakfast Recipes To Start Your Day. 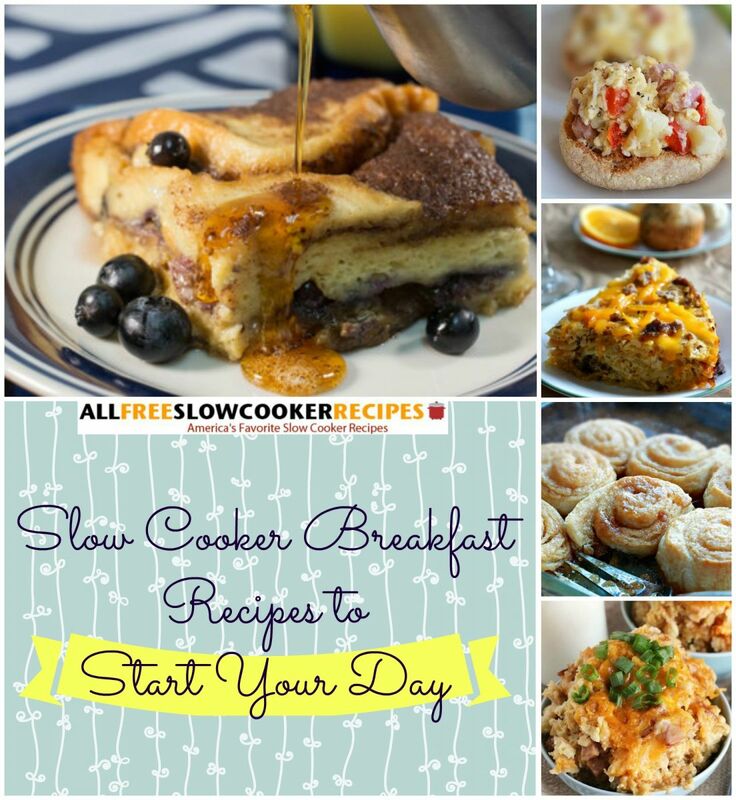 This collection contains many slow cooker breakfast recipes, ranging from savory breakfast casserole recipes to slow cooker oatmeal to french toast casseroles. There are even a few overnight breakfast recipes which you make the night before so it's ready when you wake up. What could be easier than that? Let your slow cooker do the work for you so you can enjoy that fresh cup of coffee and the morning paper. With these slow cooker breakfast recipes, you'll be hosting your own brunches in no time. Plus, you're sure to find a recipe that your whole family will enjoy so that you can easily prepare breakfast any day of the week. Each of these recipes provides a welcomed break from traditional eggs and bacon or milk and cereal without being overly complicated. Start your day the right way and get ready to cook some absolutely delectable slow cooker breakfast recipes. 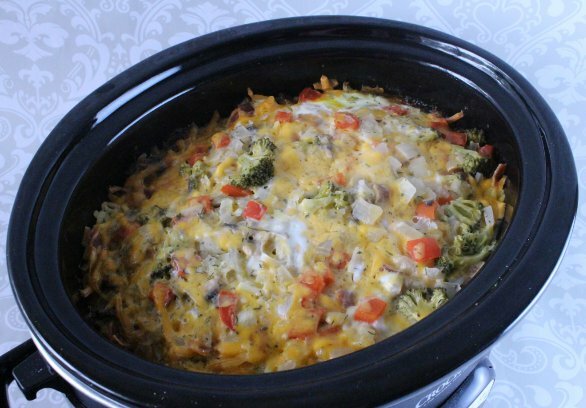 Love the slow cooker casserole recipes featured on this page? Get more great slow cooker casserole recipe ideas with our free eCookbook, "17 Slow Cooker Casserole Recipe Classics." These breakfast casserole recipes are great because they use ingredients that everyone loves: eggs, sausage, bacon, cheese, and hash browns. They're savory, delicious, and pair perfectly with a side of toast and a glass of orange juice. Who doesn't love a good french toast? Listed below are fantastic french toast casseroles and other sweet breakfast casserole recipes. Make sure you have plenty of syrup on hand as well as a tall glass of milk when you devour these slow cooker breakfast recipes. Prep the ultimate holiday breakfast or brunch with our collection of "24 Warm and Wonderful Make Ahead Breakfast Recipes For Christmas." Don't have time to cook breakfast in the morning? Maybe you just don't feel like cooking when you wake up. No problem! These overnight breakfast recipes are prepared the night before. They cook while you sleep and fill your house with a delicious aroma that's sure to be a great wake-up call. These slow cooker breakfast recipes are perfect for those of you who prefer to have a pastry with your cup of coffee. These recipes also make great on-the-go breakfast ideas. Cook them at the beginning of your work week and you're set every morning. For more slow cooker breakfast recipes that will sweeten your morning, try our collection of delicious cinnamon roll recipes, Slow Cooker Homemade Cinnamon Rolls: 8 Easy Cinnamon Rolls Recipes. When you think of breakfast, you can't forget oatmeal. 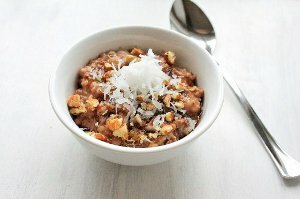 Below you'll find plenty of ways to spice up your plain oatmeal routine with slow cooker oatmeal recipes containing ingredients such as fruit or chocolate. Potato-Crusted Quiche - Some might consider this to be a crustless quiche recipe in the traditional sense, but it has a unique hash brown crust that is crispy and savory. Overnight Maple and Brown Sugar Oatmeal - Enjoy a harmony of flavors from maple syrup, brown sugar, cinnamon and dried blueberries. Best-Ever Bourbon Banana Bread - The addition of bourbon and pecans to the batter might just make it the best banana bread recipe you have ever eaten. Homemade Slow Cooker Yogurt - If you are looking for a way to make healthier and less-expensive yogurt, then give this Homemade Slow Cooker Yogurt recipe a try. Ooey Gooey Cinnamon Rolls with Cream Cheese Frosting - What better way is there to start your day than with a sweet and gooey treat hot from the slow cooker? This recipe is a definite winner!